Barbed Wire | Just Shooting Memories! While I was out in the snow the other day, I stopped to take some photos of a couple of horses. They posed for me for one or two shots. 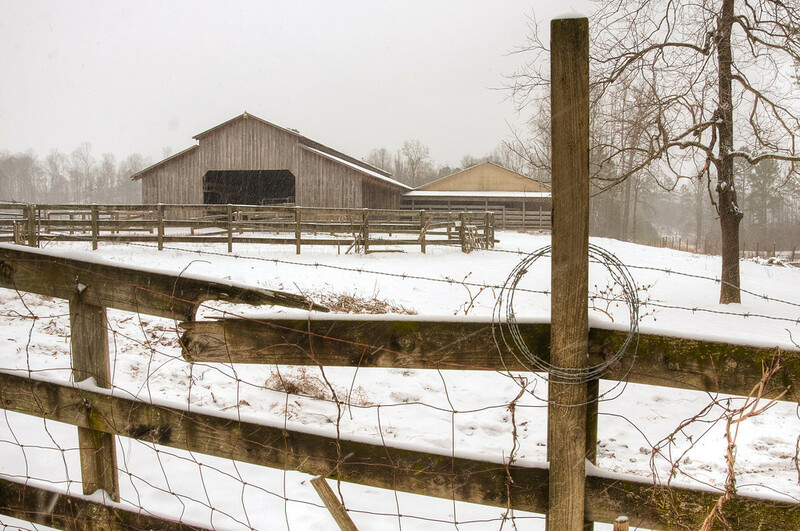 Then this barn in the snow captured my attention. It’s always a work in progress when you are on a farm. The roll of barbed wire on the fence made me think of all the things I needed to do at home. Glad I was able to take a few minutes before getting back to reality. Which, of course, included some sledding with the kids.